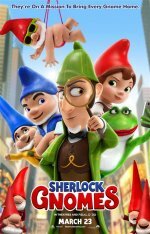 Sherlock Gnomes release date was Friday, March 23, 2018. This was a Nationwide in theaters release. Elton John is currently composing new songs for the film.